This entry was posted in Reflection and tagged college algebra, domain, graphs, range. Bookmark the permalink. 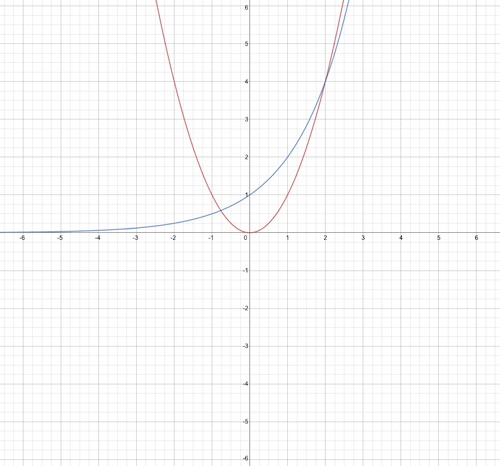 The function x^2 – sin x has a minimum near -1/4 and I'm not sure Alg prepares them to discover that… But now we get to add back the part under the cube root, which is going to be positive from 0 to 1. But is it enough??? 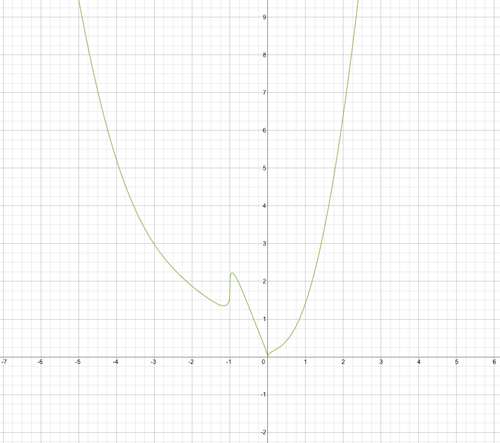 It turns out it is, but it's the x^2 under there rather than the x^5 that makes it work (since it's larger from 0-1). So for me, asking a kid in College algebra to figure out this range without a graph might be a stretch, but I do agree even at this level, they should be challenged to think about the overall behavior (domain and range) of functions before they draw the graph…(because as you well know, there are lots of functions that graphing technology won't show the true story at any common magnification… there are monsters out there, and they need to know that they should go to the graphing window when they are content they know what to expect. Nice blog by the way. I like your thinking.